Naugatuck Therapist: Stokes Counseling Services - Therapist 06770. Send A Message To Stokes Counseling Services. Stokes Counseling Services LLC is a private counseling practice located in Naugatuck made up of licensed therapists who specialize in children and families. In addition to our work with children and families, we provide individual, family, and couples counseling to adults. We understand finding the right fit for a therapist is important and acknowledge you must feel safe and comfortable before making those difficult steps in getting better. We do our best to provide a comfortable setting to help guide you to feeling better within the first few sessions. 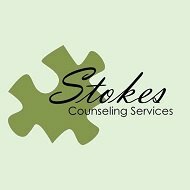 Why Choose Stokes Counseling Services? We are committed to providing a trusting, engaging, and collaborative environment with our clients. We believe you are the expert on yourself and we are the guide to help you manage ways to overcome what is currently getting in the way of living the life you deserve. We provide a strength based solution focused approach to help alleviate unwanted symptoms and utilize a variety of modalities including Solution Focused Therapy and Cognitive Behavioral Therapy to increase positive change. In addition to our friendly and down to earth approach, we only employ licensed therapists who all are licensed to practice therapy in the State of Connecticut. All of our therapists have a strong background post masters degree so you can trust we have the education and experience to help you through this difficult time. We also offer weekend appointments for those who have busy work schedules that make it difficult to come in for appointments. We offer both Saturday and Sunday appointments.